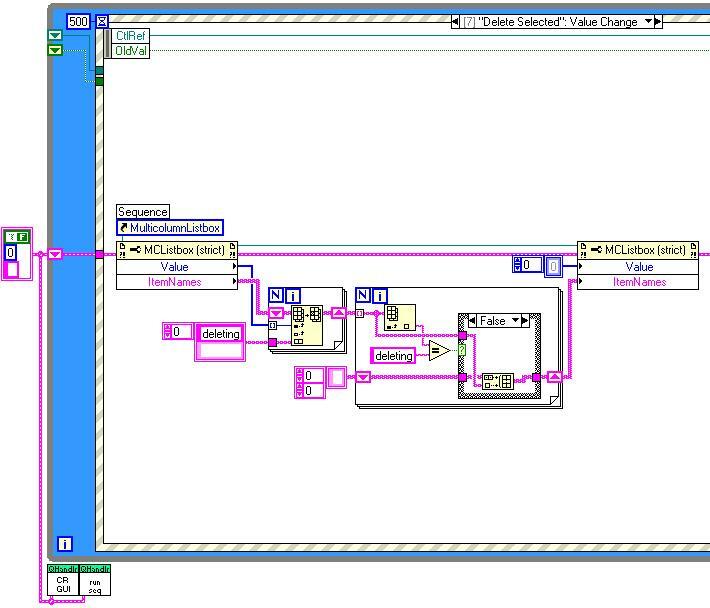 I'm using Labview for one year. I've played with lots of stuff including Database Connectivity toolkit. I'm stuck in something that maybe simple. I have a multicolumn listbox and i want to manage it's data. I want to add (no problem), edit/replace and delete. To perform the last two actions (edit or delete) i must know the row the user clicked and feed the replace array or the delete array VI. So i use the Get DblClk row method. My problem is that i always get -2, which means the user has clicked on a empty row. I'm using event programming to reduce polling.Everything is working fine, but this. Which event must i associate with this method? I have also created a simple vi with one multicolumn listbox inside a loop (no events at all). The same happens. What am i doing wrong? The online help....doesn't help at all!! Well, if the user double-clicks on a row, the selected value should be able to be accessed. To get the value on a double click, you'd have to have it recognize the double click as an event to generate the event, then just get the value they selected, not the double-click value. The row would be selected on the 1st click anyway... right? I might be missing something though. I haven't used double-clicking much. You shouldn't be getting -2 for row or value. Here are a couple of pictures that may help. Yes!!!!!!! God, how blind I am!!!!!! I was seeing the ROW terminal on the left of the double click event, but i was not thinking at all "What is this? Maybe I should use it."